With the 2011 NFL draft concluding on Saturday, the Giants along with the rest of the teams in the NFL must now wait until the lockout ends before they can sign any free agents and or undrafted college players. Once the lockout ends, I believe we will see a very active NFL in both departments. Based on the Giants needs and their actually draft picks, I compiled a few names of Undrafted college players who I feel the Giants should consider signing for their team and or development squad. Tim Barnes (Center): Good size center (6’4 /300 lbs) out of Missouri, who I felt should have been drafted in the 6th or 7th round. Could also play the guard position, but Center is his natural position. Could develop and replace O’Hara (33 years old) in a year or two. Willie Smith (OT): Another OT who I projected to be drafted and at 6’5/310 lbs, has the size. Played at East Carolina and played the final 27 games of his college career at Left Tackle. Rated #21 among OT in the draft, considering the depth of the OT this year, that’s not too shabby. Could develop into a solid OT in time and worth a look. 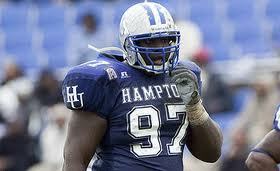 David Mims (OT): A mountain of a man at 6’8/334 lbs playing at Virgina Union. I believe this kid could be a sleeper and whoever signs him will be happy they did. Rated #16 among OT this year, which is very good with the depth of the OT in this year’s draft. Hope the Giants select him and let him develop. Schuylar Oordt (TE): At 6’6/261lbs, Oordt ran a 4.63 at the combine, which is very impressive for a man his size. Didn’t have great numbers at college (playing at Northern Iowa), but he has the hands and good blocking technique to make it at the NFL level. Rated #11 among TE and remembers me a lot of Keven Boss, but with more speed. Put this kid in the right system and he will develop into a solid TE in the NFL. Collin Franklin (TE): Another big body at 6’6/256 lbs with above average speed (4.72). Very similar to Oordt from Northern Iowa, as Franklin played just down the road at Iowa State. Didn’t have impressive numbers in college. Mostly due to the offensive system ran by Iowa State, but this kid could develop into a solid TE at the NFL level if given the chance. Rated #12 among TE and has the blocking skills the Giants look for in a TE. Josh Portis (QB): Played at the Univ of California and would be the definition of a project QB. Good size (6’4/211 lbs) and ran a 4.50, has shown the ability to throw the deep pass with accuracy and has very quick feet. He’s very raw and would need a few years to develop into an NFL system. Taylor Potts (QB): Played out of Texas Tech and has good size 6’5/220lbs and is fairly mobile. Did well at the Senior Bowl and has shown intelligence and good arm strength to go along with accuracy. Potts is a traditional pocket passer who came from a shotgun spread offense at college, so he would need time to develop and learn the NFL system. Could be a solid backup for Eli if he can develop. With all the undrafted college players still available, I’ve chosen just a handul that I feel would give the Giants more depth and also could become contributors to the team. Next week I will review all the remaining free agents still available for the Giants to explore. 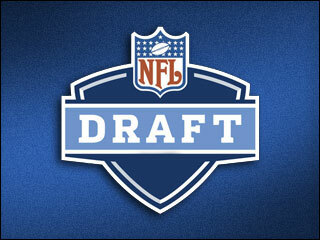 With the 2011 NFL coming to an end, the New York Giants concluded their draft with 5 picks on the final day. On the first 2 days, the Giants drafted Prince Amukamara- CB/Marvin Austin-DT/and Jerrel Jernigan-WR. Earlier, I gave my assessment of these picks and now I will continue my evaluation of the 5 picks today. Round 4: James Brewer-OT: Rated at #10 among OT on the draft board and a steal in the 4th round. This kid can play both OT positions and could eventually move Diehl back to guard and take over the leftside tackle position in the not so distant future. 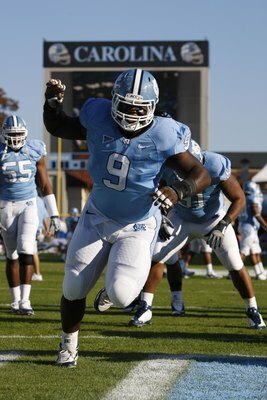 Round 6: Greg Jones-ILB: Had him rated to go in the late 4th to early 5th round. Giants never expected to still see him on the board, so this was an excellent selection. Jones reminds many of London Fletcher with the same motor. Could very well start at Strongside LB this season. Round 6 (Supplemental Pick)-Tyler Sash (S): Another quality pick and a player who always has his motor turned on. Will see action mostly on special teams initially, but could get more playing time as the season unfolds. Round 6 (Supplemental Pick)- JacQuain Williams-OLB: An undersized OLB who was marginal at best in college. 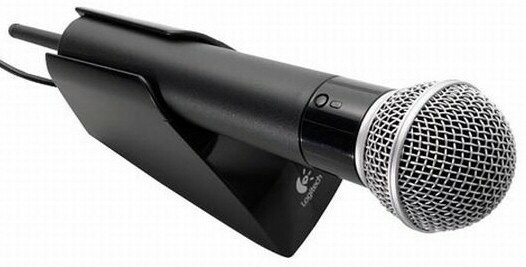 Out of all the draft picks by the Giants, this is the less favorite of mine. I felt the Giants should have used this pick on another OL. Hopefully, Williams could contribute into a quality special teams guy. 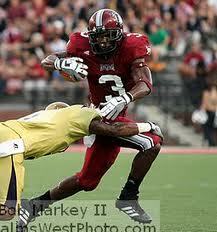 Round 7: DaRel Scott-RB: This pick is equivalent to the selection of Armad Bradshaw back in 2007. Quality pick in the 7th round and this kid could see alot of playing time for the Giants depending on what happens with Bradshaw (health) and Jacobs (declining). Overall, This draft could be better or as good as the Giants draft of 2007. Early I mentioned my displeasure of the Giants drafting Jerrel Jernigan. I have started to change my thought here and think that Jernigan could be the next Dave Megget and a great weapon for Eli Manning. So my final grade for the Giants will be A-. Now we will need to wait until the lockout ends to see if the Giants will be active in the free agent market. I expect them to fill in any neccessary needs they see fit. – Muhammad Wilkerson was picked by the Jets in the first round. I love the pick. There were other options, but none fit into the 3-4 like Wilkerson. Muhammad is an inside pass rusher, something hard to find in a 3-4. He can be what Trevor Pryce was in his prime for Baltimore. I still by my grade of a B+ for him. – Kenrick Ellis, a nose tackle, was picked in the third round. We have documented Ellis’ off the field problems, but there is no doubt this guy is a monster. If all the charges against him are dropped, this is a great pick. I’ll give the pick a B for now. – Bilal Powell, Gang Green’s fourth round pick, was the cause of much debate earlier today. Where does he fit in? It’s simple. With LT and McKnight both question marks, this is simple insurance for now and the future. Between him, Greene, and maybe McKnight, consider the running back position locked up for the future. I don’t see how that’s a bad thing. It’s a B- pick in my opinion. – Jeremy Kerley was an interesting fifth round pick. He is a kick and punt returner, something the Jets need desperately. If Brad Smith isn’t back, Kerley can play a similar role to what Smith did last season. This could end up being a very good late round pick for the Jets. I can’t complain about wide receiver depth, with three wide receiver free agents for the Jets. I give the pick a B-. – Greg McElroy came next in the seventh round. This is my favorite pick of the draft. McElroy is a National Champion quarterback from Alabama. He was projected to as high as round four in some mock drafts. There are some question marks about his arm strength, but the kid was pumped to be a Jet and looked thrilled to get a chance to play for this organization. Talk about a value pick! I give this pick an easy A. – Scotty McKnight was the Jets’ other seventh round pick. If you haven’t heard, the guy is good friends with Mark Sanchez. It’s a nice story, but there were much better prospects on the board. He could have been signed as an undrafted free agent. I’m not going to lose sleep over this pick, but I can’t give it higher than a C.
I can’t complain about this draft. As a matter of fact, it’s my favorite in recent memory. The only comparable one would be the 2006 Draft, which I loved at the time. Obviously, that one ended up well. Who came out of it? D’Brickshaw Ferguson, Nick Mangold, and Leon Washington. I can only hope this year’s Draft will have similar results. Could this be the next great Jets running back? Round 1: Prince Amukamara-CB: A projected top 10 player who I had rated at 13 on my board. I understand the Giants picking Amukamara, based on his talent level and also a need at CB. However; if the Giants wanted a CB, I would have considered Jimmy Smith. In my opinion, Smith is equally athletic to Amukamara, but is more physical. 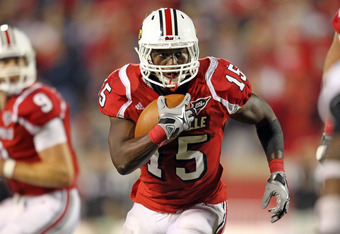 With the abundance of quality WR’s in the NFL and many who will be facing the Giants in 2011. Smith would have been the better choice. Round 2: Marvin Austin (DT): I can not argue with this pick at all. Austin is a top notch DT who could have gone in the late 1st round to early 2nd round. In my mock draft, I had the Giants drafting a RB (Ryan Williams) , which would have been a quality pick as well. With Barry Cofield status unknown and the slow development of Linval Joesph, this pick makes alot of sense. Round 3: Jerrel Jernigan (WR): Despite the lack of production in kickoffs and punt return, I feel the Giants could have addressed this area in the later rounds. The Giants re-signed Hixon to fill this need, so I am disappointed with this pick. I think Jernigan is a talent player, but again, using a 3rd round pick for him was unwarranted. My only conclusion with this pick is that Steve Smith may not be recovering as well as expected and Jernigan becomes an insurance policy as a replacement in case Smith doesn’t get healthy. If that is not the case, I would have concentrated with the 3rd round pick on an OLB or TE. Players like Chris Carter (OLB) and Mason Fraser (ILB) or perhaps Luke Stocker (TE). The Giants still need to address the OL with the later picks and I sincerely hope they acquire at least 2 OL with their remaining 5 picks. In my next post, I will evaluate the Giants remaining draft picks. Listen to New York Sports Today’s Archive! New York Sports Today is on UStream. Here are some of our past shows, including last night’s NFL draft coverage. 4/28/22 -coverage of the NFL draft’s first round. The Giants took Wide Receiver Jerrel Jernigan from Troy in the third round Friday night. I believe this is an outstanding pick by Jerry Reese. The Giants have been lacking a return man and an elusive guy with the ball in his hands. Jernigan reminds me of a poor man’s Desean Jackson, in that whenever he has the ball in his hands defensive coordinators hold their breath. The G-Men already have budding star Hakeem Nicks and solid possession receiver Steve Smith on the outside, so Jernigan won’t be asked to do much in the offense other than screens and quick slants. The 5'9 185 lb Wide-out gives the Giants a home run threat. – Tons of drama in Day Two of the 2011 NFL Draft. – Biggest shock? Patriots picking Ryan Mallet in the third round. Tom Brady isn’t going anywhere, but the logic behind this pick is obvious. To develop a quarterback who can learn tons by watching Brady. The problem? It doesn’t make them better this year, next year, or the year after that. – The Giants selected a DT and a WR. Jerrel Jernigan will be a decent depth wide receiver and special teams player, but Marvin Austin, the second round pick, can stick as a starter on this team eventually. Good pick there by the G-Men. – The Jets used their third round pick on Kenrick Ellis, who plays like he should be locked up in a prison somewhere. Oh wait, that description fits him perfectly off the field as well. Why? According to Rich Cimini, he faces up to twenty years in prison in an upcoming court case. Obviously a high risk for the Jets, but the dude is an animal. And yeah, I know he is a “typical Jet” to you haters.